Ames, Iowa (July 6, 2017) – GlobalVetLINK (GVL®) is hosting a free webinar, Equine Infectious Anemia (EIA) in Canada , on Thursday, July 20 at 11:00 a.m. CDT for veterinarians, diagnostic laboratories and horse owners who want more information about EIA compliance and management. 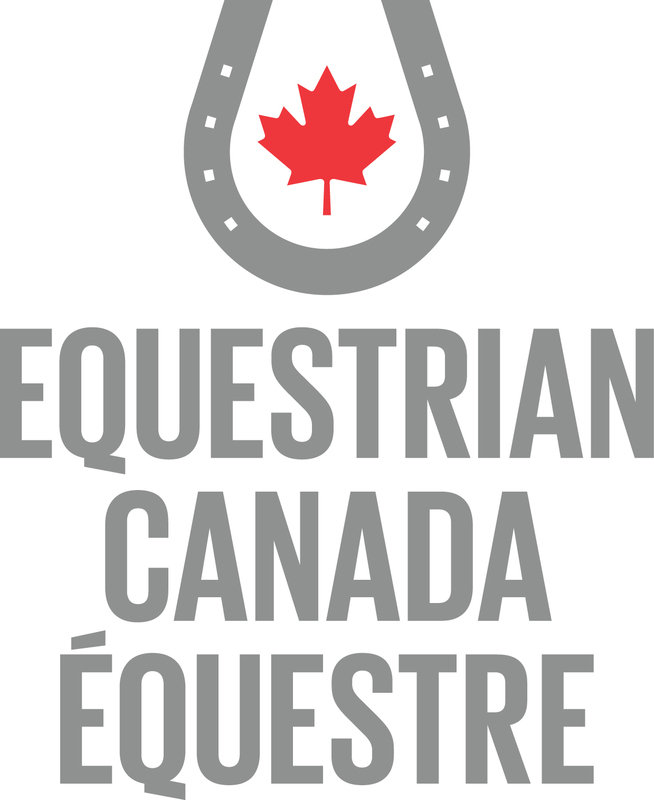 Ottawa, ON, Aug. 24, 2017 – The Equestrian Canada (EC) Nominating Committee is pleased to announce the board candidate election results and the eight (8) new Directors who have been elected to the 2017 EC Board. Atlantic Canada Trail Riding Association (ACTRA) was formed in 1980 to promote distance riding, standardize the judging of same, encourage good horsemanship, promote the use of sound and sensible riding mounts, and above all to enjoy your mount in the company of people with the same interest. ACTRA presently recognizes five forms of distance riding; Competitive Trail Ride (CTR), Introductory Distance Ride (IDR), Judged Pleasure Rides (JP), Ride and Tie, and Endurance Rides. Sentier NB Trails is creating a map of horse-friendly trails throughout the province and exploring other projects connecting their organization with the NBEA membership. Check out the Sentier NB Trails website and follow them on Facebook . Be sure to join the NBEA Facebook Group " New Brunswick Trail Riders ", to connect with other riders in your area for group rides, or to find new trail buddies! Obtaining your Coaching Certification is an important life-time achievement. As a certified Equestrian Canada Instructor of Beginners or Coach, your clients and students will know that you have achieved the highest standards in Canada for equestrian coaching, and adhere to best-practices in coaching. The NBEA would like to recognize the time, hard work, and dedication that go into achieving this goal, by offering a $500 grant to up to 10 applicants, upon successful completion of their Instructor of Beginners or Coach certification. Once you have successfully completed your certification assessment and have all your components up-to-date, your Coaching Coordinator will notify the NBEA office to issue your $500 grant. In addition, Instructor and Coach Candidates are invited to register to be eligible to attend two coaching prep workshops for the price of $30. Download details and registration forms here . Endurance riding – a non-Olympic FEI discipline – currently the fastest growing of the entire equestrian sports around the world, second only to Jumping in number of competitions. Reminder: Next Para-Equestrian Video Competition Entry Deadline is October 30 Ottawa, ON, Oct. 21, 2017 – Don’t miss out on the opportunity to participate in the fourth leg of the 2017 Para-Equestrian Video Competition series. The next deadline for submission is coming up quickly on Oct. 30, 2017. Reining horses and riders complete intricate patterns using a set of barely perceptible cues. At reining competitions, horse and rider pairs are placed in classes sorted by their age, status (professional or amateur) and level of experience. At the top level of competition, competitors complete one of 10 patterns that demonstrate the athletic abilities of the horse and the subtle communication between horse and rider. Included in the patterns are several compulsory movements: varying circles, small slow circles, flying lead changes, roll backs, spins and the crowd pleasing sliding stop. Reining competitors also perform freestyles, in which they choreograph the compulsory movements to music. Freestyles are judged on level of difficulty as well as music and choreography. The NBEA administers and promotes the Equestrian Canada Certified Coaching Program and their Coaches and Instructors. National standards for equestrian coaching programs are developed by the National Coaching Committee of Equestrian Canada, in conjunction with the Coaching Association of Canada (CAC), the National Coaching Certification Program (NCCP) and Equestrian Canada (EC). The program for Competition Coaches and Instructor of Beginners is administered in each province by the Provincial Sport Office on behalf of Equestrian Canada. Disciplines included in the EC programs are Western, English, Saddle Seat and Driving. Are you interested in becoming an EC certified official? You're invited! FEI Steward Heather Findlay and certified course designer Deanna Phelan enjoying the view at Spruce Meadows. This could be you someday! The NBEA is inviting you to an informal presentation and Q&A session prior to the first Hunter/Jumper competition of the year. Does your property have a Premises Identification number ? It’s a vital tool for the protection of your horses should a disease or disaster strike you area. The Irish Draught Horse Society of Canada will be holding inspections this fall. If you would like to have your Irish Draught Horse or Irish Draught Sport Horse inspected this year in Canada, please send the below application to the inspections coordinator. If you have more than one horse, please copy the form as many times as you need providing the location of the horse as well as owner address for determining inspection sites. The full application and payment is due by July 15. Applications submitted after July 15, 2018 must include a $75.00 late fee per horse. Inspections will be closed 30 days prior to the inspection. All paperwork must be complete and fees paid by that time. The number and location of the inspection sites will be determined based on paid applications postmarked no later than July 15, 2018. Mark your calendar for the weekend of April 27 th and 28 th . The NBEA is presenting a full weekend of coaching and rider level PD, including a rider level evaluation updating clinic on Saturday, and a coaching symposium all day on Sunday. Saturday, April 27 Geary Hill Stables, Geary, N.B. New Brunswick Equestrian Association Membership... Everyone should have it... lesson students, barn staff, grooms, volunteers, parents... We all know that NBEA membership is "a must" for coaches, competitors, judges, etc. But why should the everyday rider, weekly lesson student, or parent be an NBEA member? The New Brunswick Equestrian Association is an umbrella organization for all equestrian activities and promotes horsemanship at all skill levels through education. 2017 EC Convention: Building a Unified Canadian Equestrian Community Registration Now Open! Ottawa, ON, Feb. 6, 2017 – Registration is officially open for the 2017 Equestrian Canada (EC) Convention, taking place April 7-9, 2017 at the Sheraton Vancouver Wall Centre in beautiful downtown Vancouver, BC. Equestrian sport can represent an opportunity for freedom and movement to people with disabilities. It can also be a rejuvenating component in a therapeutic program. With various degrees of assistance and support, horse sport can be a reality for many people, whether a child with cerebral palsy or an adult with paralysis. People with disabilities can learn to ride a horse, compete alongside their peers and progress to high level competitions like the Paralympics or the World Equestrian Games. Challenges can be overcome and the experience is often rewarding. Fredericton, NB – October 2, 2017 – Two Team New Brunswick athletes brought home individual gold medals in the horse trials portion of the Atlantic Canada Equestrian (ACE) Championships, held at the beautiful Strathgartney Equestrian Park in Bonshaw, Prince Edward Island, September 30. Ottawa, ON, Feb. 2, 2017 — Nominations have officially opened for the Equestrian Canada National Awards for 2016, and will remain open until March 3, 2017 at 4p.m. ET . Driving is an all-encompassing equestrian sport, not only because all horse breeds and sizes can be used, but also because it appeals to people of all ages. There are four basic divisions: recreational driving, sanctioned competitions specifically for Pleasure Driving, Combined Driving and draft horses. The CAC is happy to announce that it is launching Coach Initiation in Sport on March 6, 2017 . Dressage , from the French word for "training" is often described as the art of dancing on horseback or ballet on horseback and is often compared to the freestyle of figure skating. This is our current Terms of Service, last updated 2013-12-01. The New Brunswick Equestrian Association serves as the umbrella organization for equestrian sport and recreation activities in the province, apart from racing. It serves as a liaison with the national governing body, Equestrian Canada, and as a funding conduit for Sport New Brunswick, supporting athlete development, coaching certification, and officials training. The NBEA also strives to provide educational resources to owners, stable managers, and riders in matters of safety, horse welfare, risk management, and biosecurity.